Medina County Veteran Services officers Ruben Gonzalez and Brian Schaefer. Starting on Monday, April 1, Castroville’s Medina County Veteran Services Office will add an additional two and a half days of coverage during the week. Due to the higher demand of veteran services, the Castroville office will now be open five days of the week in order provide additional office hours to our veterans and eligible surviving spouses. 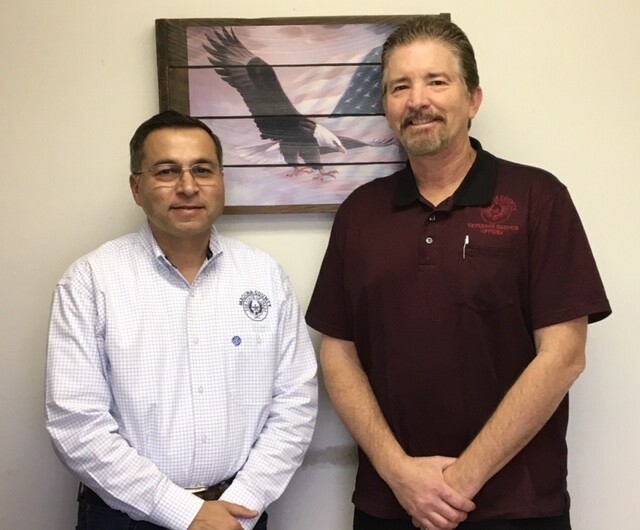 Both Veteran Service officers, Ruben Gonzalez and Brian Schaefer, are standing by to assist you. Hondo: Monday 8:30 am – 11:30 am, and 1:00 – 4:30 pm.